In today’s challenging business environment, customized books have found a unique niche – providing inspiration, communication and an emotional connection. There has never been a more important time to foster communication, provoke creative thinking and reinforce relationships with customers, employees, and prospects – customized books provide a smart and easy solution with lasting value. There has never been a more important time to provide inspiration and motivation to beleaguered, fearful employees. 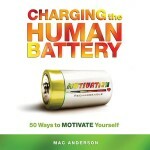 These books all express sincerity, concern and understand – key elements in keeping today’s employees motivated. In this article, we provide you with some suggestions for books which can be customized and imprinted with not only your company’s logo and branding on the cover, but in many more ways. 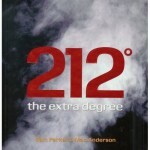 212° The Extra Degree captures the essence of excellence in an unforgettable way… At 211° water is hot. At 212°, it boils. And with boiling water, comes steam. And steam can power a locomotive. The one extra degree makes the difference. This simple analogy reflects the ultimate definition of excellence. Because it’s the one extra degree of effort, in business and life, that can separate the good from the great. This is a beautiful coffee table book that will be a perpetual source of inspiration for years to come. 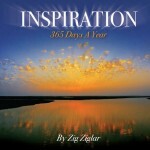 Zig Ziglar is a legend when it comes to motivating and inspiring others; and we’re honored to add Inspiration…365 Days a Year, to our gift book collection. Beautifully designed with wonderful photos, this book has an inspirational thought for each day of the year. It is a collection of quotes from Zig himself, and many others that have motivated him over the years.